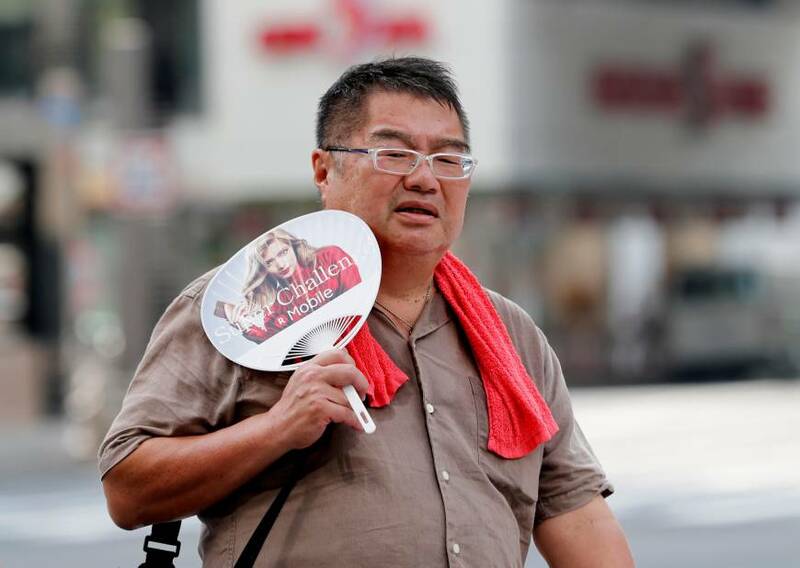 Temperatures hit a peak of 40.7 C (105.26 F) in Japan today, and Japan’s Meteorological Agency warned of extremely high temperatures for the next few days. In Kyoto, it reached 39.8C. An exceptional heatwave in Japan has caused more than 30 deaths since July 9 with 10,000 people rushed to the hospital. Yesterday alone, 10 people died. A six-year-old child is among the victims. The young boy died while attending an outdoor class in Aichi prefecture. Yesterday, temperatures hovered well above 35 Celsius in many areas of Japan. In Kyoto – one of the prefectures hit by rains – the heat reached 39.8C. In the capital, two days ago, rescue services had to respond to 3,000 emergency calls. Yesterday alone, 145 people were taken to hospitals for suspected heatstroke in Okayama, Hiroshima and Ehime prefectures. The heat, which peaked at 40.7C in central Japan on Wednesday is making life even more miserable for victims and rescuers caught by heavy rains that claimed the lives of at least 223 early this month. More than 4,500 people are still in evacuation centers and 26,000 households remains without water. The government is issuing alerts for people to take preventive measures. The warning doesn’t regard exclusively the elders, but also students in schools, as well as tourists.